The simple device, developed by Australian researcher Vipul Bansal, can tell you when you've been exposed to your daily recommended limit of ultraviolet radiation. An Australian researcher has developed a simple wristband that indicates how much ultraviolet radiation you've been exposed to — to make sure you're getting just the right amount. The device is the brainchild of Dr. Vipul Bansal, from the Royal Melbourne Institute of Technology. Overexposure to UV radiation can cause sunburn in the short term, but is linked to a range of serious long-term health impacts, including premature aging of the skin and skin cancer. But underexposure can also cause health issues, especially in northern climates during the winter. UV causes the skin to produce vitamin D, which is necessary for bone health, proper immune function and helps with seasonal depression. Bansal told Quirks & Quarks that the invention was borne out of his personal struggle with Vitamin D deficiency. Seven years ago, he was diagnosed with Type 2 diabetes. Adequate vitamin D levels are particularly important for diabetics, and his levels were low, so he took vitamin D supplements to help manage his conditions. However his levels didn't rise, possibly because other diabetes medications were preventing the absorption of the vitamin from the pills. He figured an alternative strategy was to have his own body to produce the vitamin by getting more sun exposure. This, however, introduced a new risk. "I became really concerned," said Bansal. "If I start going into the sun more often, will I develop skin cancer?" He realized there wasn't a good way to make sure that he got enough sun to promote vitamin D production, but not too much so that he might be at risk of UV skin damage. He solved the problem by creating a UV detector in the form of a simple wristband. The band is simply a strip of plastic or paper that goes around the user's wrist with UV-sensitive ink patterns on it. The ink starts out invisible, but UV light will cause it to turn blue over time. The wristband has four different sections, each with ink of different UV sensitivity. The first section turns blue at 25 per cent of recommended daily UV exposure; the second section turns blue at 50 per cent, then 75 per cent, and then 100 per cent. 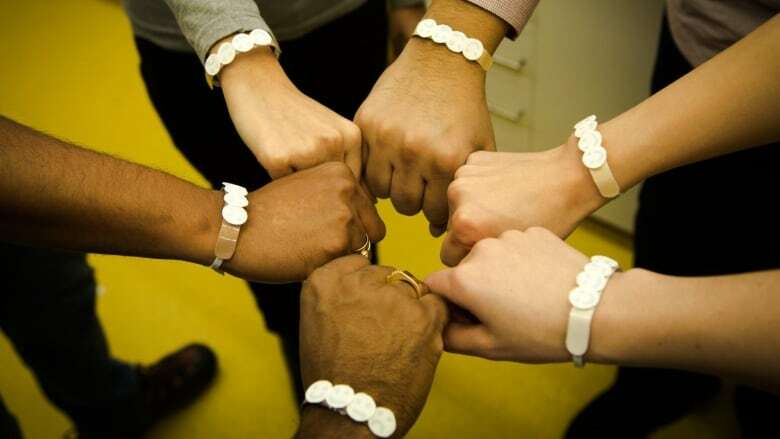 Bansal has developed six different wristbands to accommodate different skin types. 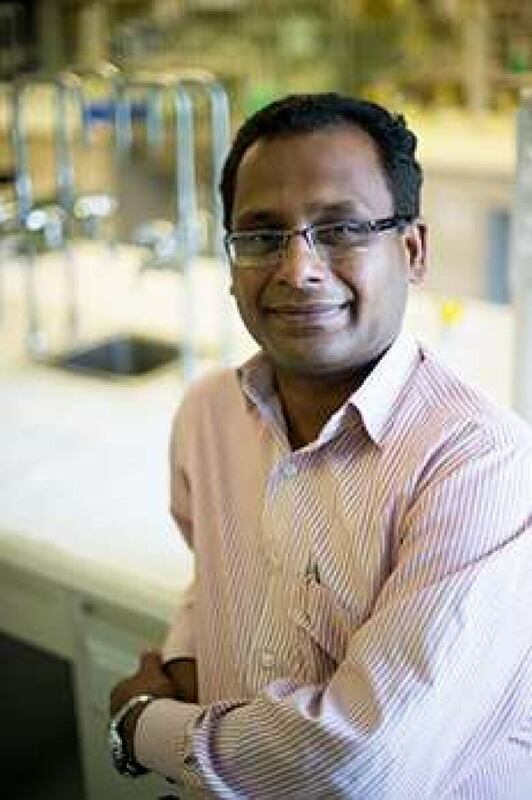 "Depending on the skin colour, our needs for sunlight are very different," said Bansal. "So people need to manage that." 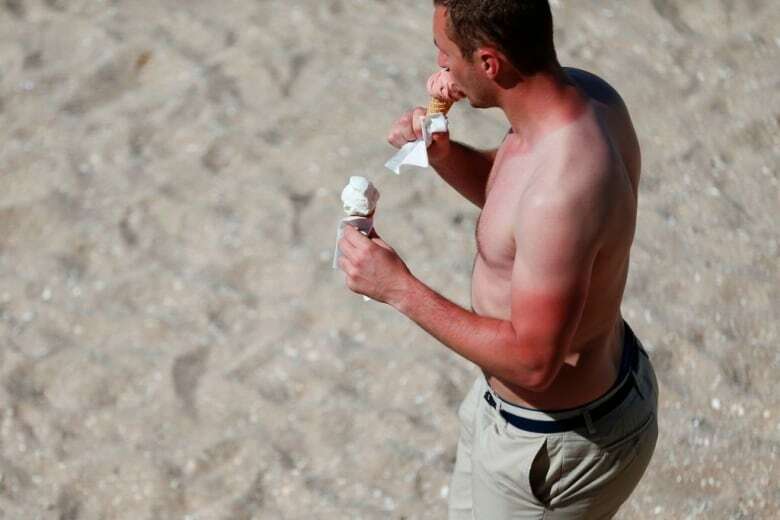 Fair-skinned people can tolerate much less UV before burning, and need less to stimulate vitamin D production. Dark-skinned people can tolerate much more UV, and it also takes more UV for their skin to generate appropriate amounts of vitamin D.
The ink composition can be changed to meet the different UV thresholds associated with different skin types, and it can be printed like normal ink on paper, a sticker or plastic. Could we stop flu outbreaks with UV light bulbs? Bansal thinks the devices should be cheap enough to be easily accessible to most people. The chemicals in the ink are inexpensive and widely available. One component is lactic acid, which can be derived from milk products. The other is a molecule called polyoxometalate, which is a readily available industrial chemical. The devices are still being tested. So far they have performed well under different lab conditions, but there is still much work to be done, including third-party validation of their effectiveness. After that, it will take some time to iron out manufacturing and production. "Our aim is to have the product to the market by early 2020," said Bansal. Question: Why is bird poop white?